Renowned political theorist, philosopher, and economist. 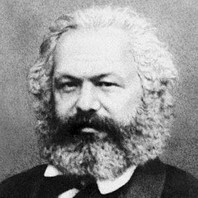 He famously penned both Das Kapital and The Communist Manifesto. In communist society, where nobody has one exclusive sphere of activity but each can become accomplished in any branch he wishes, society regulates the general production and thus makes it possible for me to do one thing today and another tomorrow, to hunt in the morning, fish in the afternoon, rear cattle in the evening, criticize after dinner, just as I have a mind, without ever becoming hunter, fisherman, shepherd or critic.